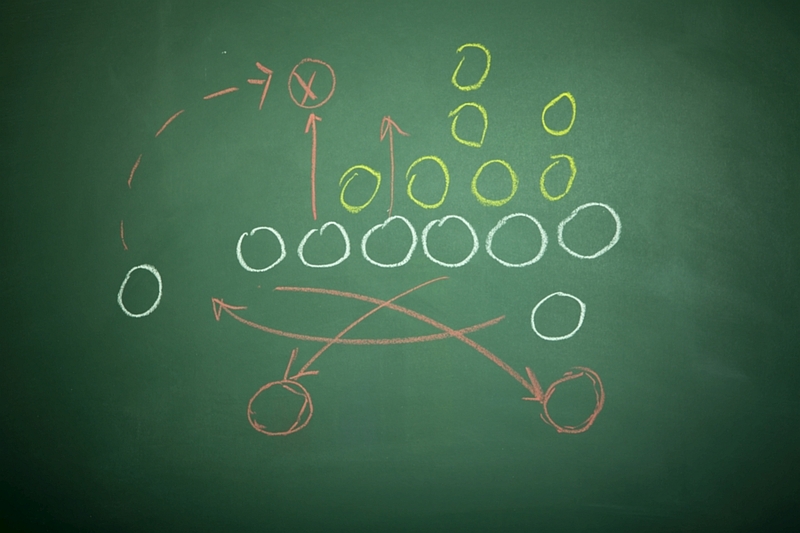 Tips from an NFL champion’s playbook to help inspire generosity in your congregation. Sunday the Los Angeles Rams face the New England Patriots in the 53rd Super Bowl. The road to the Superbowl for the Patriots included a “game for the ages” match against rival Kansas City Chiefs. After their victory, Patriots’ coach Bill Belichick offered some comments regarding the game. He praised the opposing team, emphasized the importance of team work, and praised his players. Little did he know, but he also imparted three pearls of wisdom for congregations wanting to “win” the Superbowl of Stewardship. Before stepping onto the field, you must know what you’re up against. The playing field of congregational generosity has shifted dramatically over the past decades in at least two ways. People in the United States are the most charitable people in the world. No one gives away more money to charitable causes than us. Over the past century, charitable giving has represented an almost constant rate of two percent of the Gross Domestic Product. Where those dollars go has shifted. In the early 1980s, there were just less than 800,000 charities in the U.S. – and 350,000 of them were congregations. Fast forward to today: there are more than 1.5 Million charities, and only 312,000 of them are congregations. The Bottom Line: donors have many more choices to do good with their money now. Data from Giving USA tells the story. While total giving has been stable, the share of giving to religious causes has fallen dramatically since 1980. Schools, hospitals, social organizations and the like receive the dollars that once went to congregations. Today’s donors ask more questions about the causes and organizations they support. They seek out more effective and efficient ways to have a greater impact on the world. They are more likely to connect directly to a chosen cause, rather than give through their congregation. Does this charity align with my personal values? Does it have a mission I believe in? Does this charity do what they say they will do with my money? Do they do it well? 2. Have a good playbook. I looked it up – there were 143 plays in the Patriots-Chiefs game. Coach Belichick believes more than one-third of them were critical to the outcome of the game! In football, there are three units: offense, defense, and special teams. I divide the congregational generosity playbook into three sections as well. Cultivation means strengthening relationships among those who share the vision of the congregation. A good generosity playbook will have specific strategies designed to affirm shared values and build intimacy among congregants, learning why they care and discovering how to engage them more deeply in the life of the congregation. At some point, we must ask people to be generous. The annual pledge campaign comes to mind. But consider other opportunities. Legacy giving is an area for growth in most congregations I’ve worked with. A capital campaign from time to time is a good idea as well. A well-run campaign can help exercise and stretch the “generosity muscle,” and help congregants be faithful givers of their accumulated assets. Football and Thanksgiving go hand in hand. But I’m talking about giving thanks and love to your donors. When pastors start writing thank you notes to their congregants, the feedback they get is often, “I’ve never received a note from my pastor before!” People are touched by this simple act. Beyond that, we must demonstrate the impact that their financial investment is making. 3. Have a top-notch team. We like to celebrate the quarterback and other key players. But there are no lone rangers on the football field. The same applies to the generosity game in your congregation. Each have a key role to play. Congregations flourish when their pastor is actively engaged in encouraging generosity. This means a pastor who preaches on the theme several times each year, who tithes and shares openly about their own giving, and who is aware of the individual giving patterns of their congregants. Most importantly, the pastor keeps the congregation focused on the kingdom vision and mission of the congregation above all else. The Church Board (Session, Council, Vestry, Consistory) plays a key role in encouraging greater generosity. Board members should be generous givers themselves. They should foster a culture of generosity in their congregation by boosting transparency around money and breaking the taboo of money-talk. An effective board will continually educate itself on issues related to stewardship, and will embark on positive, uplifting annual, capital, and legacy giving campaigns regularly. The Treasurer sets the tone regarding finances in the congregation. The spirit with which the Treasurer reports on the financial position of the congregation, and the transparency the Treasurer offers, will determine whether the congregation will be able to inspire increased giving. Truth about the finances of the church are paramount, while anxiety and negativity can wreak havoc on congregants’ giving. A well-run Finance Committee will have a good working relationship with the Treasurer and support them in their work. Budgeting and financial planning fall into this committee’s purview, as well as creating and monitoring internal controls and policies. In this way, the committee demonstrates good stewardship of funds, ensuring that the intentions of donors are fulfilled. In addition, the committee must develop reports that help the congregation understand how the money was spent. Stewardship should be a way of life for people in your congregation. That is the purpose of the Stewardship Committee. All people, things, and experiences are gifts from God, and this committee will help congregants develop an attitude of mind and heart that expresses gratitude for all good gifts, including financial resources. More specifically, the committee will help congregational leadership implement the Fundraising Plan (see above). I realize that church is not football. But I hope you’ll find some moments in the coming year to reflect on your congregation’s stewardship program, and be happy for what you’ve accomplished.